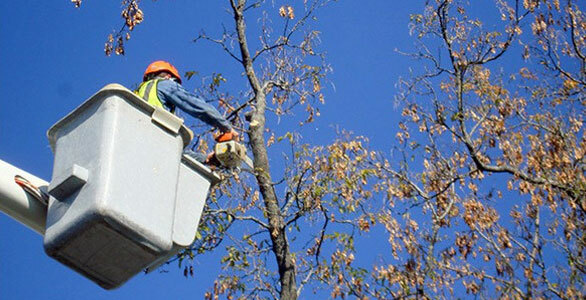 We have a 65 foot Bucket Truck which is very efficient for trimming large and small trees. We also offer Bucket Truck rental services. An additional service with the Bucket Truck is hanging Christmas Lights on homes and trees. No request is unreasonable. We frequently provide assistance in hanging and removal of Christmas lights and decorations from your hard to reach locations.